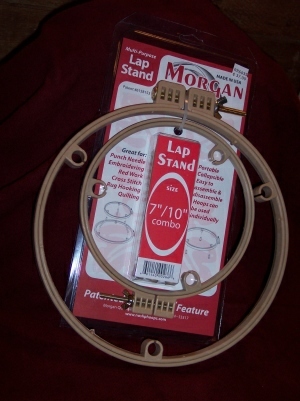 The Morgan No-Slip Lap Hoop stays tight. It features an inner lip and grove system that greatly help in keeping your project tight. The No-Slip Lap Hoop features a 7 inch hoop on one end and a 10" hoop on the other. Allows you to have to projects ready to go at once! A must for Punch Needle or any type of needlework.